Good Governance activist Chandra Jayaratne has written to Minister Karu Jayasuriya, requesting him to review the recently adopted Code of Conduct in the UK with necessary changes, when drafting the Code of Conduct for the local Ministers in a way that it would fit the local context. 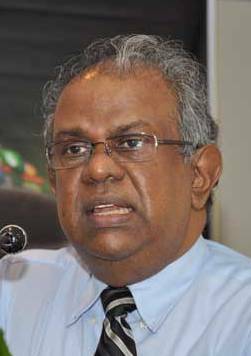 Jayaratne has asked Jayasuriya in his capacity as the Minister of Democratic Governance to ensure that examples are drawn by the UK Code of Conduct, for the Ministerial Code and the Code of Conduct for Board Members of Public Bodies, which is due to be introduced and implemented under the 100-day program. In his letter, Jayarathne has quoted the foreword of the Ministerial code in UK written by British PM David Cameron noting that his words closely resonate with the requirements of the Sri Lankan context and the expectations of the voters who elected the new government into power. The Government led by President Maithripala Sirisena has committed to ensure the re-establishment of Democracy and Good Governance and the Sovereignty of the People in Sri Lanka. Towards creating an acceptable operating environment where this assurance will be realized, the government has further committed to introduce appropriate legally enforceable Ethical Codes of Conduct for all representatives of the people. You are charged among other ministerial functions, the accountability for assurance of democratic governance. “Our new government has a particular and historic responsibility: to rebuild confidence in our political system. After the scandals of recent years, people have lost faith in politics and politicians. It is our duty to restore their trust. It is not enough simply to make a difference. We must be different. We have promised the people a coalition government united behind the key principles of freedom, fairness and responsibility. Every day of this government we must make good on that promise, acting in a way that reflects these principles. In everything we do – the policies we develop and how we implement them, the speeches we give, the meetings we hold – we must remember that we are not masters but servants. Though the British people have been disappointed in their politicians, they still expect the highest standards of conduct. We must not let them down. We must be different in how we think and how we behave. We must be different from what has gone before us. Careful with public money. Transparent about what we do and how we do it. Determined to act in the national interest, above improper influence. Mindful of our duty. Above all, grateful for our chance to change our country”. You and your colleagues, endowed with the responsibilities and accountability of engaging in the task of “Change Management” of the governance structures, administrative and financial rules and regulations, systems, procedures, control and compliances, leading to transparent good governance, economy, efficiency, effectiveness in the allocation and spend of scarce national resources, and the control of waste and corruption, will accept that the required governance culture must be led by example at the top and will thus require the commitment of Ministers of the Cabinet and Heads State/Public Bodies to demonstrate integrity and accountability for good governance. Print copies of the above codes are attached. Mr. Anura Kumara Dissanayake- National Executive Council Member Compiling Codes of Conduct.